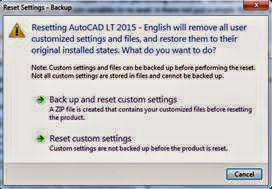 Is your AutoCAD ‘broken’ or not working as you would like it? 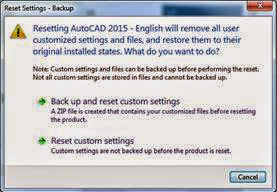 It happens to us all, you get your new shiny version of AutoCAD and all seems well (once you’ve tweaked it to your own purposes!) Then, suddenly, clunk! A function in ‘Acad’ stops working. Maybe it’s a selection function, maybe it’s a non-performing command. You have tried all the ‘normal’ fixes and adjusted system variables to no avail. Is there not just a simple ‘Reset to factory’ setting? ‘I need this fixed as I’m in a hurry to get some drawings out’ etc.. This has been around for quite a few versions now and it saves the user from having to go into Regedit in Windows and reset some software profile settings. 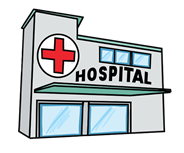 The user can then decide to backup his existing configuration and save in a Zip file or reset from scratch as desired. Of course most sensible users would have *cough* done this already. Then fire up AutoCAD and is most cases the offending problem has been fixed. It is certainly a lot quicker than trying to find your original media and uninstalling and re-installing!